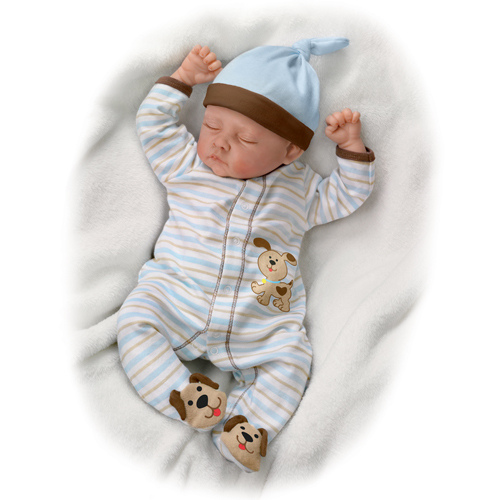 “Snuggle Bunny,” is the second addition in the Precious Little Ones collection. 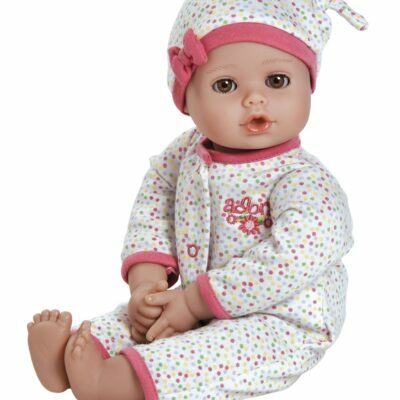 Like “Little Peanut,” the first issue, this charming baby is So Truly Real® from head to toe, with soft RealTouch® vinyl skin, and a cloth body that is easy to pose and lots of fun to snuggle! 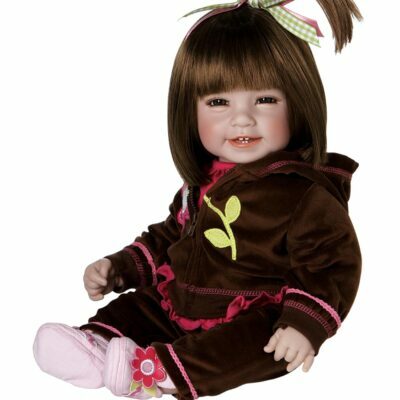 Her face is painted by hand to look slightly flushed, and she has delicate eyelashes and the softest wisps of hair. Even her tiny fingernails and toenails are hand-painted to look as lifelike as possible. Best of all, she’s weighted to feel like a real baby in your arms. She comes to you in a darling one-piece adorned with colorful bunnies and a pretty floral headband. Simply precious! “Snuggle Bunny” is 17″ long from head to toe.